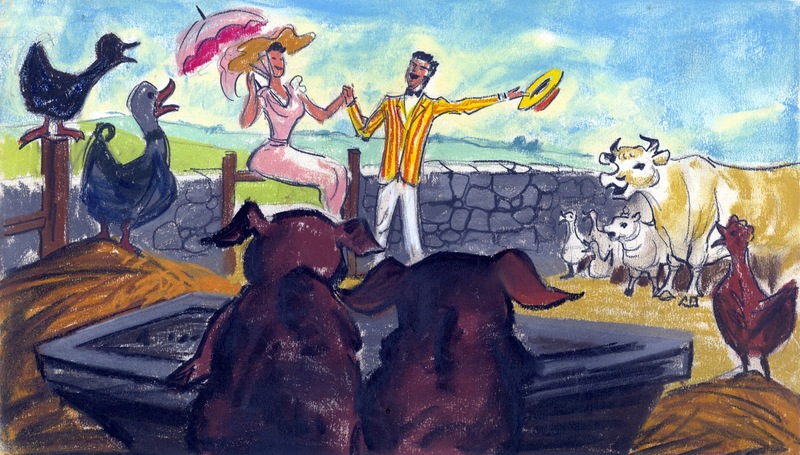 I believe these colorful story sketches for the film Mary Poppins are the work of Don DaGradi. 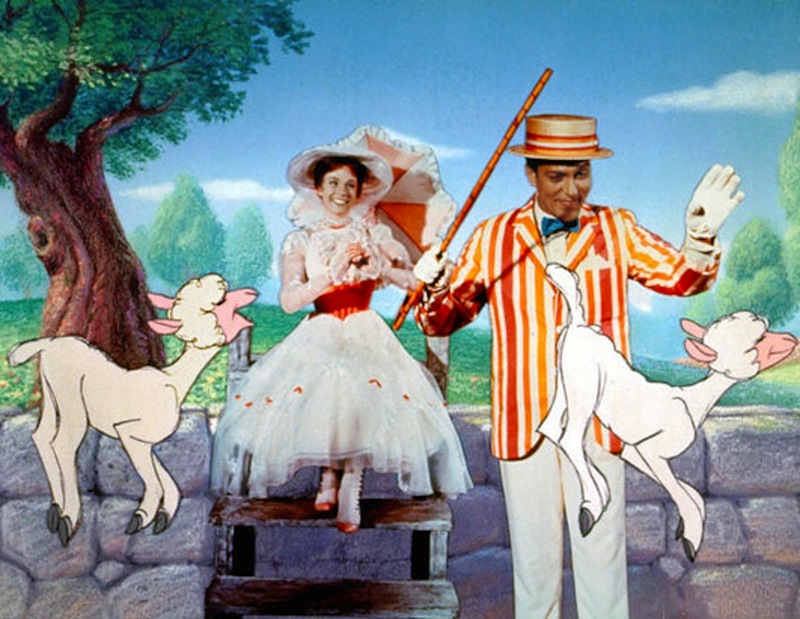 They sure foreshadow the movie's rich Technicolor look. According to songwriter extraordinaire Richard Sherman, DaGradi was able to visualize just about anything in only a few seconds. That spontaneity made it all the way up to the screen. The movie's storyline is very uncluttered, accessible and pretty darn magical. 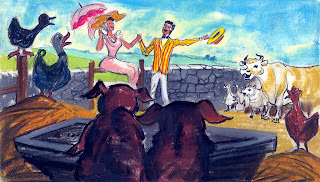 For me the animated sequences are of course the highlight of the film. They were animated by Disney's top animators. 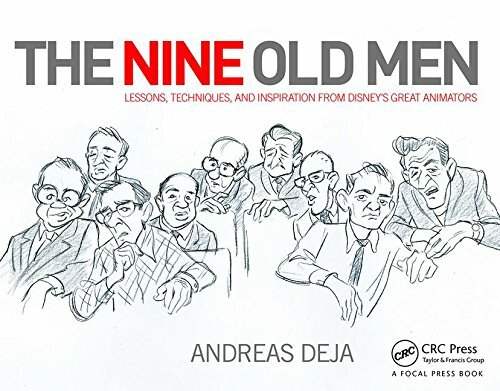 Frank and Ollie did the penguin waiters, Milt Kahl animated the fox hunt, and John Lounsbery focused on the horse race, and earlier on the visit to the farm. All of it great stuff! Milt came up with the final designs for the farm animals, and every one of them is a gem. Those sheep with their heavy wool make for great characters, and the lamb's anatomy is delicate and charming. 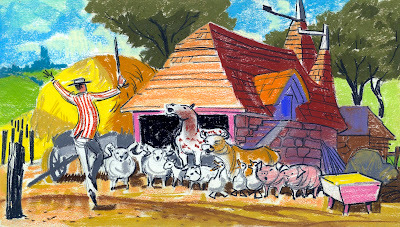 The work horse is a heavier version of the Captain from 101 Dalmatians, and the cow's design elements also remind us of that film. But it's the pigs who jump off the page. 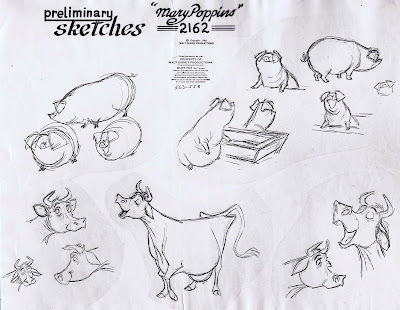 There have been a number of various pig designs in Disney animated films over the years, but these are hilarious. Basically a sausage shape for the body, the legs are tiny, and the eyes are a just couple of dots. 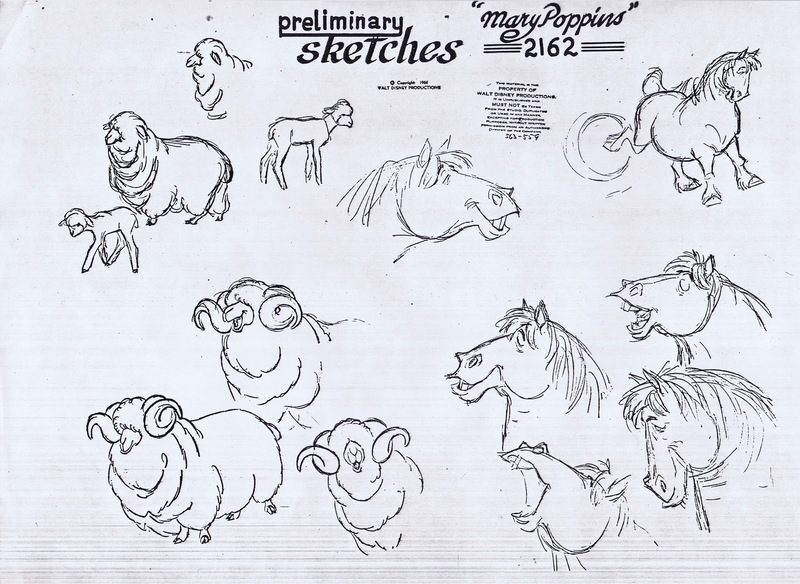 By the way, these model sheets were printed and distributed exactly FIFTY years ago! The reason these drawings still look so fresh today is because the quality of their designs remains unmatched. Call me old fashioned….